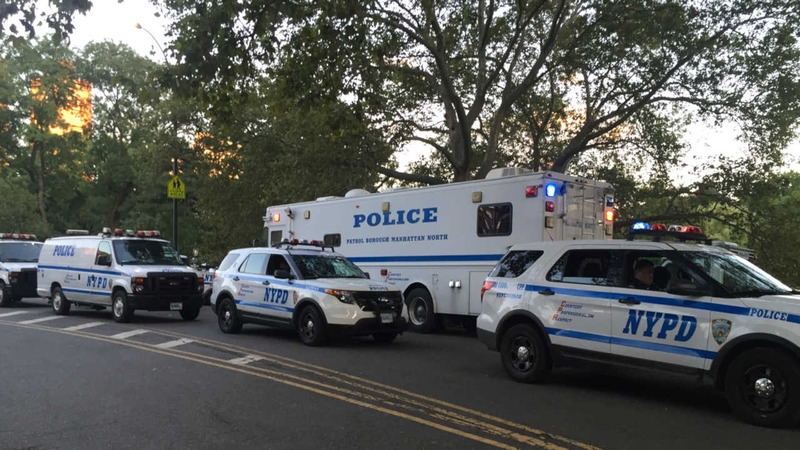 UPPER WEST SIDE, Manhattan (WABC) -- Police are investigating two robberies that occurred near Central Park on Sunday evening. The first robbery occurred just before 6 p.m. at 110th and Lenox. A teen was slashed in the cheek and forehead by another man. The suspect also took $50 and the man's belt. He is currently recovering at the hospital. The second robbery occurred near 106th Street and West Drive shortly before 7:30 p.m. The victim was walking through a path when the suspect came from behind and put him in a chokehold before stealing $20. The suspect fled into the park, and is described as a black man in his early 20s with a red shirt and blue jeans with a thin build. Police are trying to determine whether both robberies are related.